You are here: Home » Focus Saves Creativity… and Goldfish! 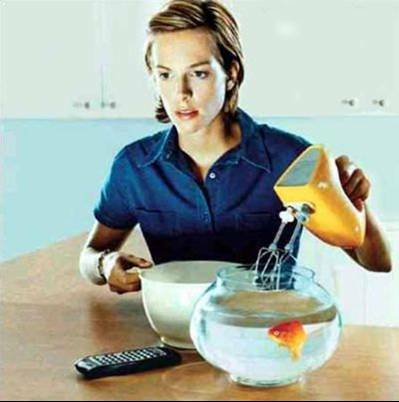 Save a goldfish – stop trying to multitask! You’ll preserve your creativity, too. Multitasking is the antithesis of focus. I’ve listed my previous posts on multitasking below in case you haven’t read them all or want a refresher. If you’re part of an organization (as an employee, volunteer or member) that still thinks multitasking is a virtue, let me first extend my sympathy and encouragement to buck the trend as much as you can. Second, I offer you this ray of hope: I’ll be available in 2014 to deliver “The Myth of Multitasking.” This engaging, humorous and life-changing presentation will help your organization stop wasting time, burning people out and jeopardizing safety. Just email me (Rosanne@RosanneBane.com) if you’re interested. And now without further ado, here’s the list of multitasking posts. Enjoy! What More Time to Write? Stop Multitasking! Multitasking is meant only for computers. Operating systems are designed for multitask with lot of threads simultaneously operate. But when it comes we humans, the most intelligent and creative creatures by GOD, it’s not so. When we avoid multitasking, we are more creative and could perform a job with perfection. You’re so right George! Thanks for commenting.